The series is facilitated by Lauren Weiss (PT, DPT Physical Therapist) and Kirsten Miller (OTR/L). Lauren has a busy private practice and does home based intervention in Philadelphia County. 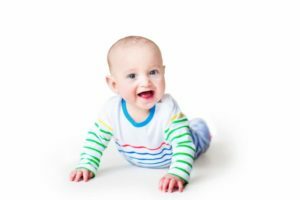 Her areas of expertise include torticollis, low muscle tone, body R/L asymmetry, delayed postural control, poor alignment and other gross motor delays. Kirsten enjoys using occupational therapy with children ages 0-3 in the Philadelphia area. She has experience treating babies and children with a wide range of developmental challenges including sensory integration dysfunction, autism spectrum disorder, organ transplant, cerebral palsy and brain injury. You do not have to be a patient of Center City Pediatrics or Center City Pediatrics – Bala Cynwyd to participate.